UNC Wellness Center at Meadowmont~ ~No more treadmill in the bedroom! Take a tour and see what you think. One of the great things about living in Meadowmont is convenience. 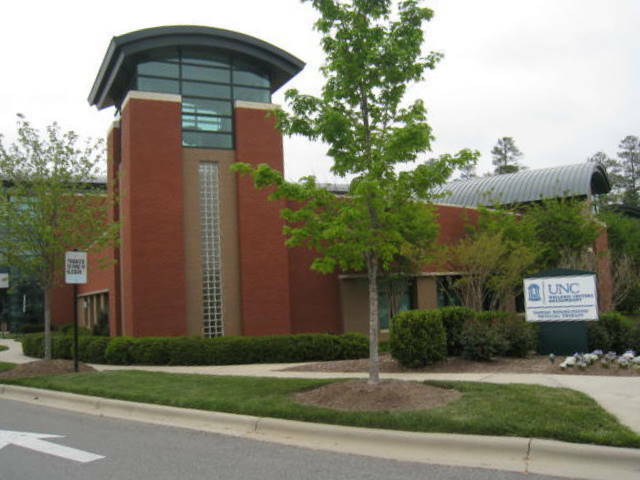 The UNC Wellness Center is open to the community and includes a fitness center along with programs and resources promoting good health. No need to have a dedicated fitness room at home. Have a swim, workout with weights take a fitness class or relax with a massage all just down the street from your home in Meadowmont. Take a look at the website. There is something for everyone. I’ll tell you what is is like for me. I’ve had pretty much experience at the UNC Wellness Center. One of my clients and now friend bought and sold homes with me and is the Lifestyle Enhancement Director at the UNC Wellness Center. (she and her husband are in the video) .When we met I decided to join and improve my fitness. I’m not very athletic and this was a big step for me. I was really surprised to see all that was in that 52,000 sq ft. building. It’s architecturally beautiful with open spaces and big windows looking out onto pretty landscaping. When you walk in you see a posting of classes, both fitness and health related. It’s busy there with people of all ages checking in and working out. Straight ahead is the strength training and cardio workout room. One section of the space can be closed off and is used by the UNC Hospitals cardiac rehabilitation. Those defibrillators hanging on the wall kind of made me feel more secure. One whole side of the UNC Wellness Center is devoted to massage rooms, a big physical therapy room, demonstration kitchen for nutritional classes, and a multipurpose room. The 25 ft. pool is the home of water aerobics classes. I only went to those once. I thought it would be an easier workout than the upstairs aerobics classes but it was rough! I never went back and stuck to the weights and walking around the inside track which is on the 2nd floor circling around the whole building going around workout and spinning rooms. You’ll need to fast for 4 hours before the evaluation because it includes a cholesterol and blood sugar test. You will have strength assessments and body fat and weight checks. I wasn’t as unfit as I had imagined. I guess running up and down many sets of stairs and in and out of the car every day is a pretty good workout. After the Health Evaluation it was on to the hour long equipment orientation. A trainer demonstrated all of the machines and showed us how to use the fitlinxx computer used to keep track of settings and workouts. There are lots of free clinics to go on and learn more about the equipment. There is also a starter personal training package of 3 sessions for $180. I did that to get my goals established and decide on a plan and how to work it.